Jamie Kim is an accredited associate of the Laser Vaginal Rejuvenation Institute of America. Dr. Kim trained in Beverly Hills with the pioneer of Laser Vaginal Rejuvenation and Designer Laser Vaginoplasty, David Matlock,M.D., MBA, FACOG. Dr. Kim is one of the handful of doctors in the United States with advanced training in aesthetic reconstructive vaginal surgery nation-wide, and only one of four female physicians performing this technique in California. Laser Vaginal Rejuvenation of O.C. 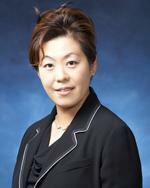 Women and Doctors of OBGYN Medical Corporation were founded and directed by Dr. Jamie Kim. Dr. Kim is a board certified Obstetrician and Gynecologist. Dr. Kim practices all other aspects of obstetrical and gynecological issues including care and delivery of normal and high-risk pregnancies, well women exams(pap smears), pelvic ultrasounds and other gynecological procedures. Dr. Kim emphasizes the importance of preventative care. She lives with her husband and two children in Huntington Beach, Ca.